And the Winner Is...SEED DC's Falcon Theatre! 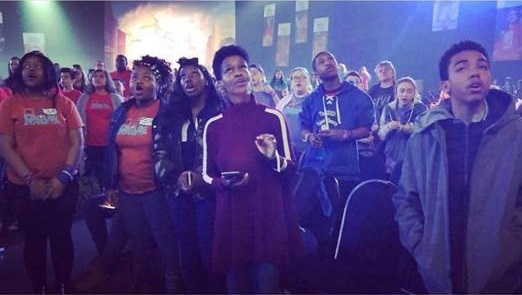 This past weekend, a group of 20 students from the SEED School Falcon Theatre joined nearly 6,000 other singers, dancers, and actors from across the globe at the 2018 Junior Theater Festival (JTF) in Atlanta, Georgia! Lead by SEED DC staff Dr. LaMar Bagley, Ms. Randee Grant, and Ms. Tina Taylor, the SEED DC students performed an excerpt from "Aladdin, Jr." and attended master classes in acting, dance, voice, and technical theater led by industry professionals from Broadway and Hollywood. 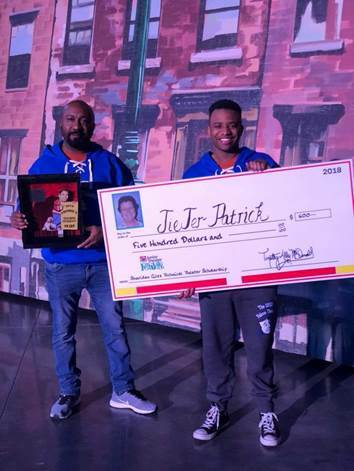 JTF 2018 was SEED DC's sixth consecutive year at the international festival--and our students continued their winning tradition with several awards! Senior Jiejer received the 2018 Sheridan Giles Technical Theater Scholarship, awarding him $500 to further his artistic education; scholar-artists Brianna, Dakara, and Carlos were recognized for their singing, choreography and dancing chops with an invitation to JTF's Broadway Slam, a collaborative performance with students from other schools. And last but far from least, longtime SEED DC staff leader Dr. LaMar Bagley received the Freddie G Fellowship, an elite award that recognizes America's top arts educators with a $5,000 prize. In between performances, workshops, and awards ceremonies, the SEED students ran into the cast and crew of the Oprah Winfrey Network show "Greenleaf." These television professionals were so intrigued by our students, and their talents, that they decided to spend the day with us! Actress Kim Hawthorne and makeup artist Yvonne Eagle shared bits of wisdom and cheered on The SEED Falcon Theatre crew. 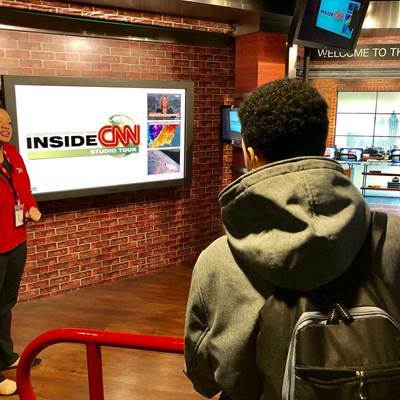 Finally, the students visited the CNN Headquarters for a behind-the-scenes look at television production, and the Center for Puppetry Arts for a hands-on history lesson on puppetry. You can see more pictures from their weekend of adventure on The Falcon Theatre's instagram page.